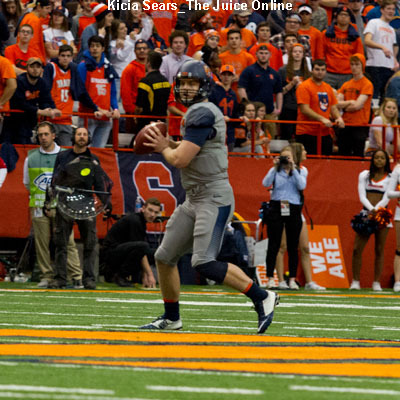 On Friday night, in Syracuse’s season-opening win over Cornell, nothing extremely out of the ordinary happened. The Orange, as expected, handled a lesser foe. There were the usual early-season mistakes that a young team will make. But there was one thing extra. One thing different. There was another Boeheim on the court. 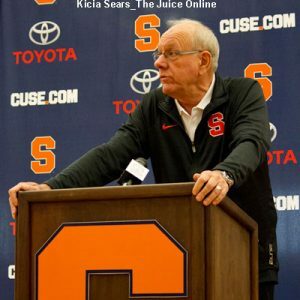 But for Cornell, not Syracuse. This happens in sports, sometimes. Usually, it’s with siblings, not a father and a son. In a lot of college basketball cases, the sons play for the dad, a la the McDermotts at Creighton, the Hunters at Georgia State, the McCaffreys at Iowa, etc. This scenario had two Boeheims on the floor. They just had to deal with being on opposite sides. Next year, younger brother Buddy Boehim will suit up for the Orange. But on Friday night, Jimmy Boeheim, the older brother, appeared on the court in Cornell red. 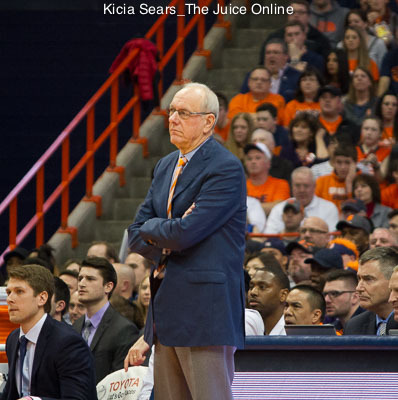 So Juli Boeheim, Jim’s wife, had to root for her husband and her son, who were going against one another. It’s a tough situation where you can’t pick and choose. Just have to support both. My senior year at Syracuse, the Orange made the Final Four and played Michigan. My twin sister, a senior at Michigan, obviously wanted Michigan to win the same way I was rooting for Cuse. This was a problem for my parents. It ended up being bittersweet. One kid is happy (not me), and the other, well, not so much. The concept of rooting for a player and not the team, or a team and not certain individual players, is common in sports today. People pick and choose their spots. You may root for a team but despise a certain player. You may strongly dislike a team but have a tie to one of its players. These aren’t major problems. It’s just sports. Except, of course, the whole family being torn on who to root for. But at the end of the day, success is just being on the court at that level. Regardless of who wins and who loses.